Check out Tobi's Wild Heart Plaid Tiered Crop Top Designed by Tobi. 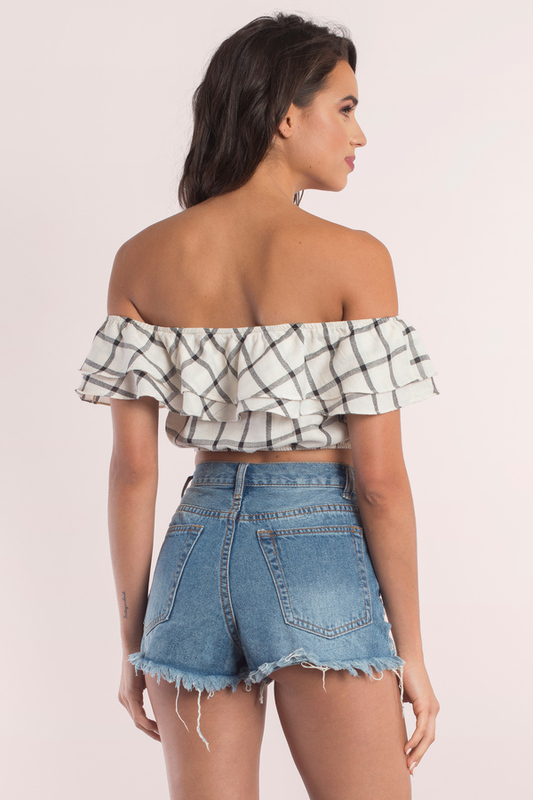 The Wild Heart Plaid Tiered Crop Top features an off the shoulder body and cropped length at the waist. Perfect to wear with a high waist bottom. Designed by Tobi. 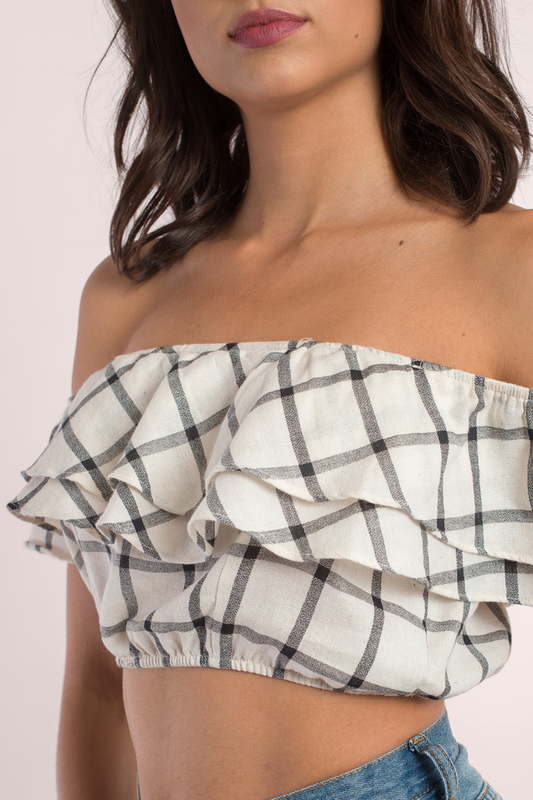 The Wild Heart Plaid Tiered Crop Top features an off the shoulder body and cropped length at the waist. Perfect to wear with a high waist bottom.